It’s Springtime here and guess what that means? Rain, Rain, and more Rain. At least that is what it was feeling like this past week. So I decided to bring a little sunshine into our house, and of course, make it a fun learning day. 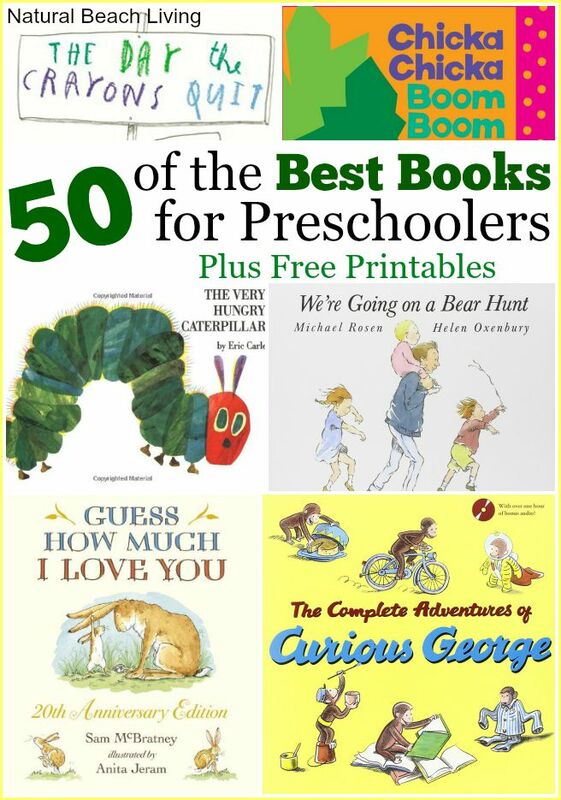 One of our favorite books right now is Chicka Chicka Boom Boom. So while the kids were asleep I set up a sensory bin and alphabet activity for the whole family to enjoy. It was really easy to set up, you only need a few things. 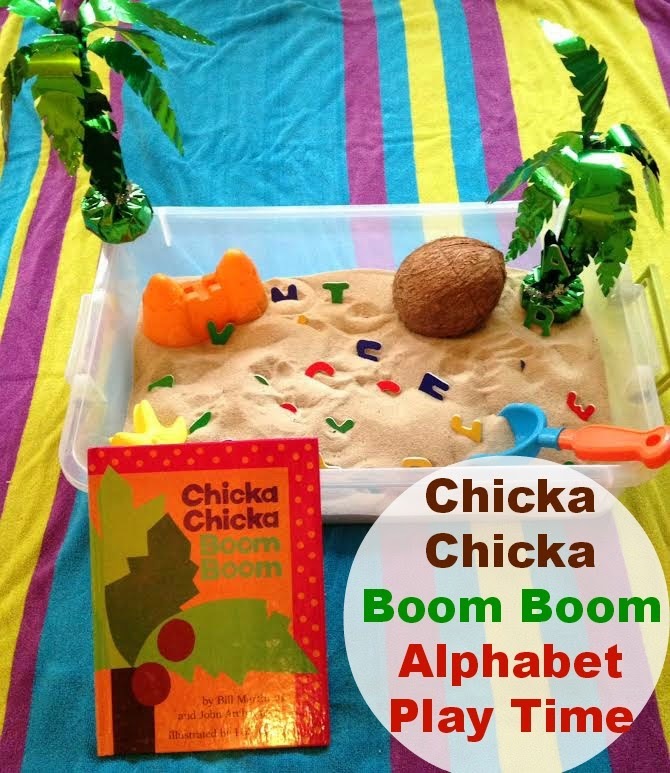 First The book, Chicka Chicka Boom Boom, a container for sensory play (this is a $7 container from Walmart), play sand, a coconut, a few sand toys, a palm tree, and letters. I purchased the sand toys, palm tree, and letters from the dollar store. I really wanted to cheer the house up from the gloominess, so I went all out. I brought in beach chairs, laid out a huge beach blanket, hung a cute (dollar store) Tiki sign up, all under our fabulous Elves & Angels Playstands. I didn’t stop there… We got into our bathing suits for the day. It was awesome! 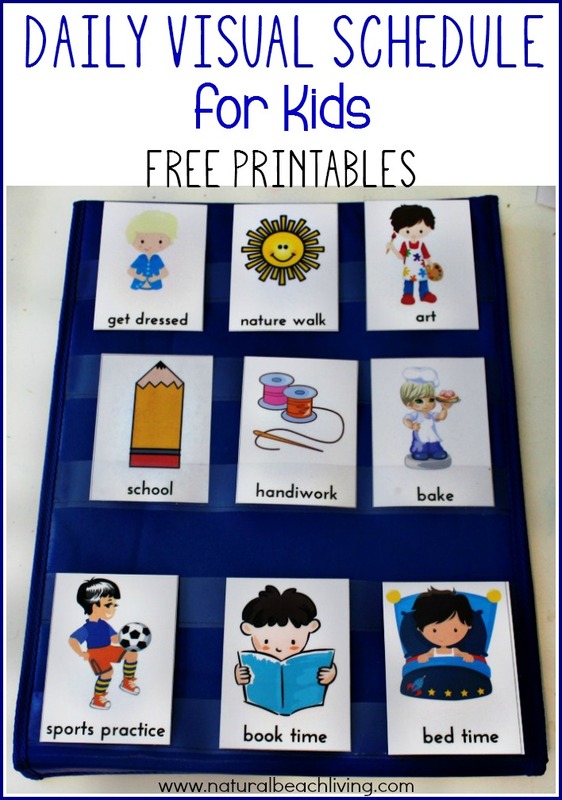 I love incorporating great books into our play, the kids seem to really enjoy the fun and the learning. They were singing the alphabet song, talking about the letters and sounds. The rain didn’t stop us. We must have read the book at least 10 times that day. It is so nice to watch the children play, and the fact that they are learning so many great lessons too makes mommy happy. 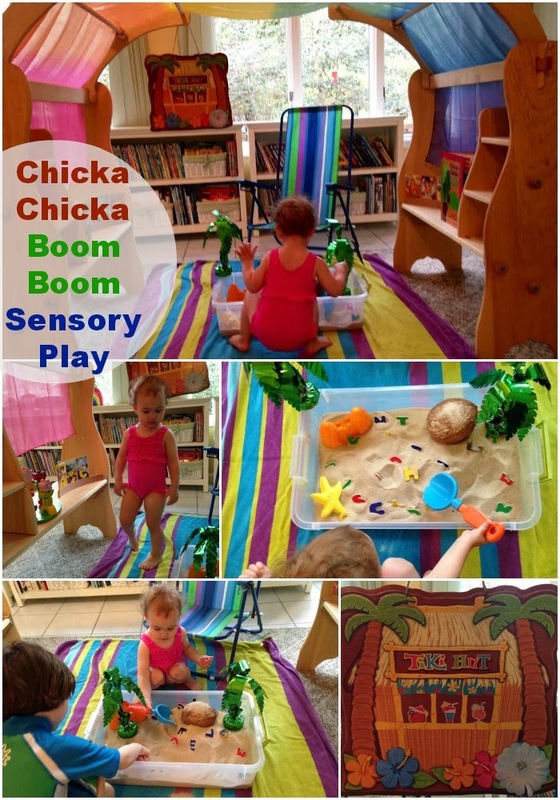 Are you incorporating sensory play into your day? 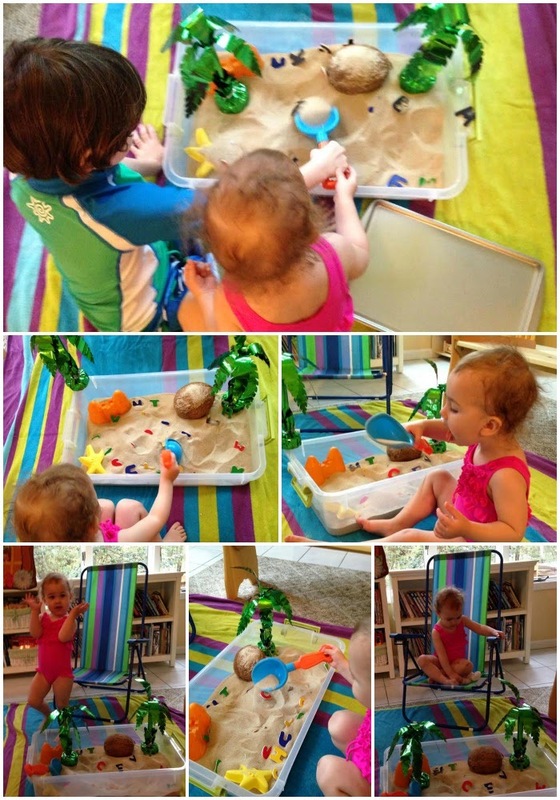 I’d love to hear about it, and if you would like other sensory play ideas follow my Sensory Board on Pinterest . You will find hundreds of great ideas. This is one of my favorite posts from NBL!!! 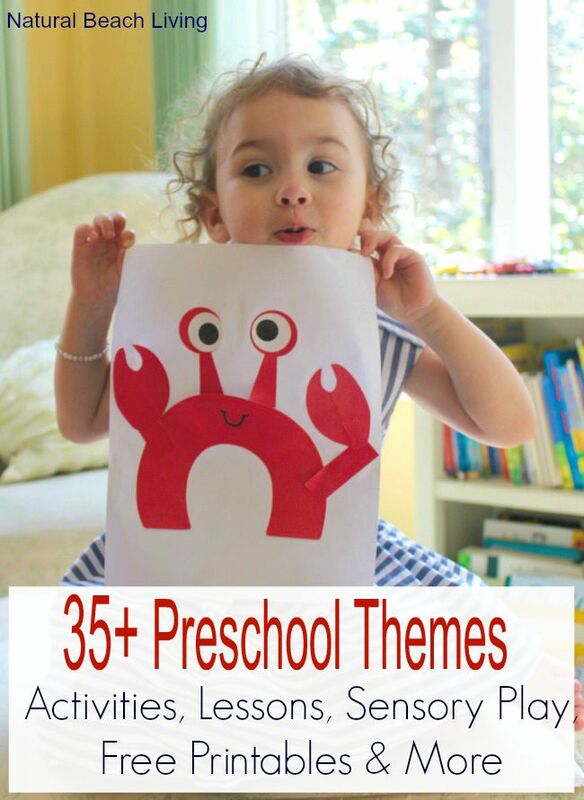 Thank you for linking up with The Natural Homeschool! 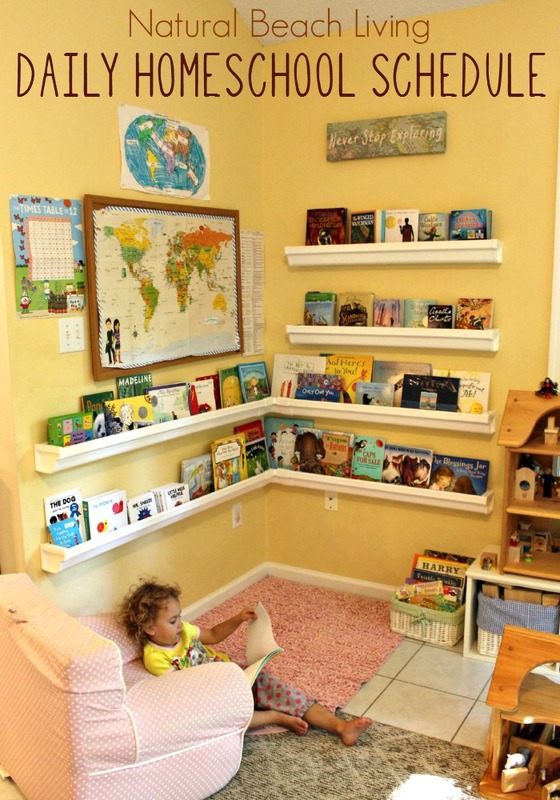 You inspire me with your creativity and gorgeous displays for your children! I love that you go all out and don’t let a rainy day get you down! 🙂 What an awesome Mama you are!